The U.S. Constitution limits the power of the federal government. The first nine amendments in the Bill of Rights all guarantee freedoms and rights to the people. 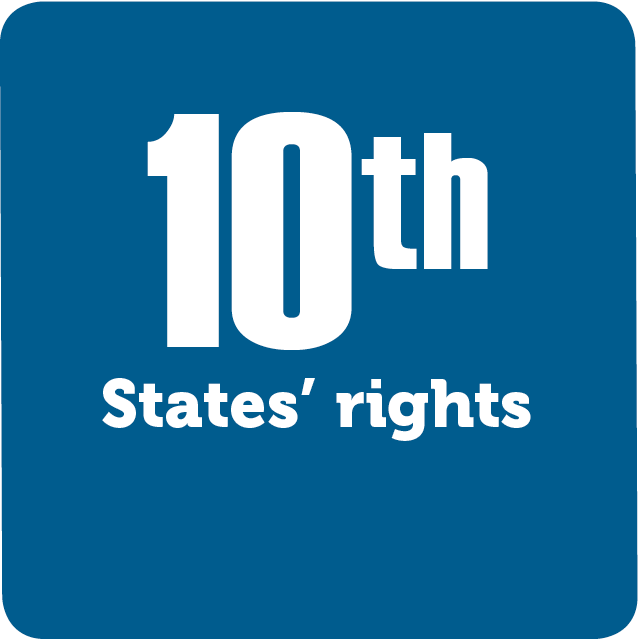 The Tenth Amendment limits the power of the federal government. In this amendment, the Founders made clear that the powers of the federal government must come directly from the Constitution. All other powers rest with the states.